The ‘World’s Most Comfortable Shoe’ Is Celeb-Approved and Under $100! Sneakers are all about comfort. They’re supposed to be, at least. We can’t even count the amount of times we’ve bought a sneaker only to be met with zero arch support and sore toes just a couple of hours into a day. Yes, we could always go for traditional walking, running or hiking sneakers, but for everyday wear? Our fashion sense won’t allow for it. Is a mix of cuteness and comfort so much to ask for? Not for Allbirds. The Allbirds Women’s Wool Runners are often better known as “the world’s most comfortable shoe.” That explains why we’re seeing them everywhere we look, including on celebrities like Mila Kunis, Hilary Duff, Whitney Port and Jennifer Garner. They’re soft, they’re durable and we actually want to wear them outside of the gym! 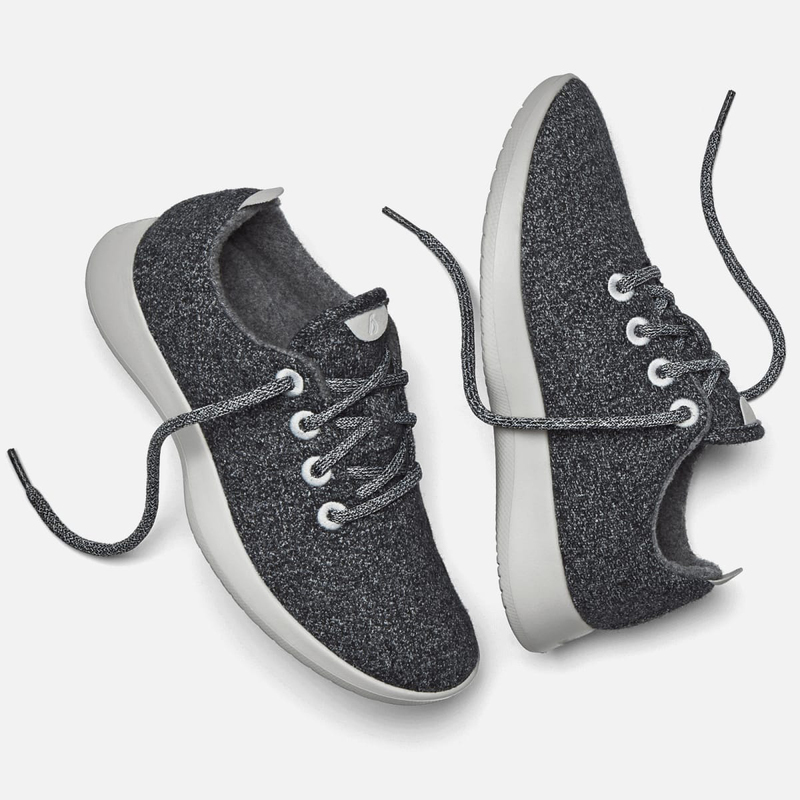 See it: Get the Allbirds Women’s Wool Runners for just $95 at Allbirds! This “go-to” shoe is multi-purpose, so we can wear it to a workout or just to work. It’s casual enough for a weekend hangout with denim and cotton tees, but its materials and silhouette make it stylish enough to impress. It’s made with superfine merino sheep’s wool sourced from New Zealand and developed in a premium Italian mill. Very worldly and extremely legit. Also very comfortable. Did we mention that already? This merino wool is temperature-regulating, which means it should keep our feet cool in the summer and warm in the winter! It’s also moisture-wicking, which is especially important for sunny days or when the heat’s stuck on 85 degrees and the electrician’s off duty. What about when it rains? No worries, because the upper is water-resistant! What’s one of our biggest concerns when it comes to wool? When not made well, it can be scratchy, itchy and irritating. That’s not the case with Allbirds. These shoes were designed with “serious comfort” in mind, so we can let all of those concerns melt away! We can even wear them with no socks if we prefer. Seriously. Allbirds even suggests it! The upper of the shoe isn’t the only part featuring this naturally-soft wool. The padded insoles are also lined with it! These insoles have all of the benefits of the upper, and they help to reduce odor so we don’t have to be afraid when it’s time to go barefoot at our group yoga class. One of Allbirds’ secrets when it comes to the insoles is that they use castor bean oil. Castor bean oil cuts carbon output better than petroleum-based foam, so these shoes are actually helping us reduce our carbon footprint! This shoe is lace-up style, but its nautical-inspired laces are anything but ordinary. They are made of 100% post-consumer recycled polyester! Recycle just one plastic water bottle and voila: sleek, strong laces! What’s one of the best parts about having a shoe that wicks away moisture, doesn’t smell and requires no socks? Less laundry! Hallelujah! That, however, doesn’t mean we’re totally safe from things like mud and drink spills. If we want to keep our Allbirds looking fresh and new, that’s not a problem. Just throw them into the washing machine! These sneakers are available in so many colors, including classics and limited editions! The classics lean toward the neutral, everyday side of sneakers, but obviously crazy-upgraded compared to our ripped-up runners. They explore mixing and matching with shades of grey, white, black and cream. We love the experimentation with sole colors. It’s not too often we see a light grey sole on a sneaker. They only get more colorful on the limited edition side! There are currently 12 limited-edition wool sneakers available. A few still function as neutrals, but others are amazing pops. Tuke Marinara, for example, is all-red everything, and it’s not shy about it! There’s also Tuke Teal, sporting a teal sole. It’s like we said light grey was cool and Allbirds took it up five more notches. Other colors include Tuke Midnight, a navy, Tuke Matcha, as inspired by the superfood and Tuke Jam, a blend of red and purple. Check out the rest while they’re still available; some sizes are already gone! This celeb-improved shoe is only growing in popularity. We never considered wool to be a year-round material before, especially not for our shoes, but Allbirds clearly knows what they’re doing and they’re doing it so, so well! Not your style? 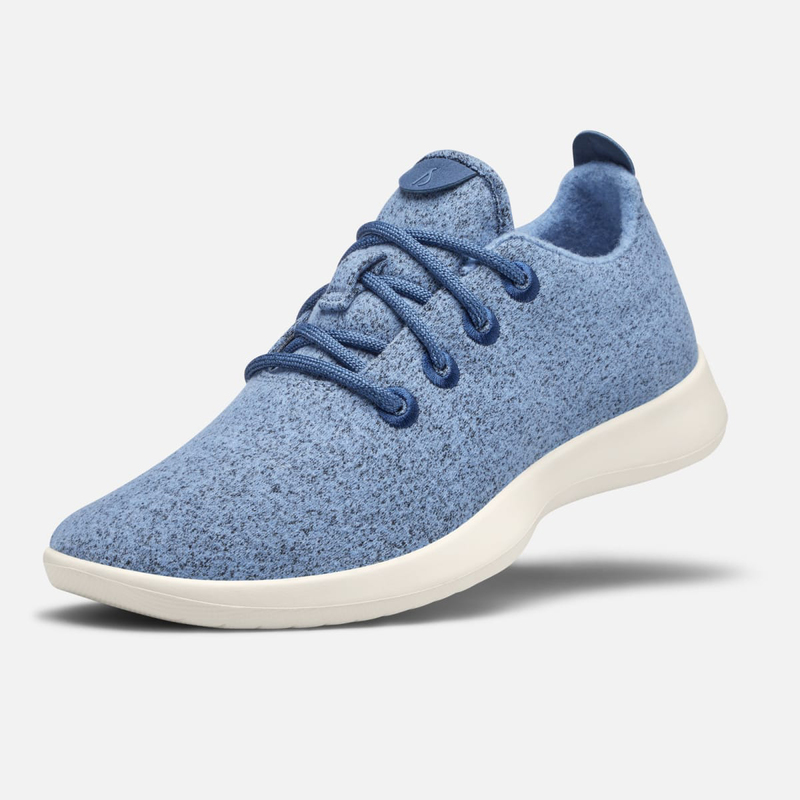 Check out Allbirds’ other shoes here!